Kick-off meeting at a new position! Today it was my first day at the new job! It will be based at the Institute for Astronomy, Astrophysics, Space Applications and Remote Sensing (IAASARS) of the National Observatory of Athens (Greece). I will be working with Alceste Bonanos, along with Ming Yang and Frank Tramper, in a project related to the “Episodic Mass Loss in Massive Stars: Key to Understanding the Explosive Early Universe” (ASSESS). Although excited I am too tired to write something more now. But more will come in the future! So the command reads all the specific numbers for which a catalog with a filename of F*.matches.all.cat exists. The number of each field ($i) is parsed as an external variable (id) to awk which places it as the unique identifier “Fid-counter” with the incremental “counter” (1+c++) corresponding actually to the number of row (1+counter to begin from 1 instead of 0 – FNR avoids the first line of each catalog which is a column description). All results are written appended to the output file results.tmp (created automatically when non-existing). In the era of imaging even from our cell phones making a drawing of a planet seems redundant. 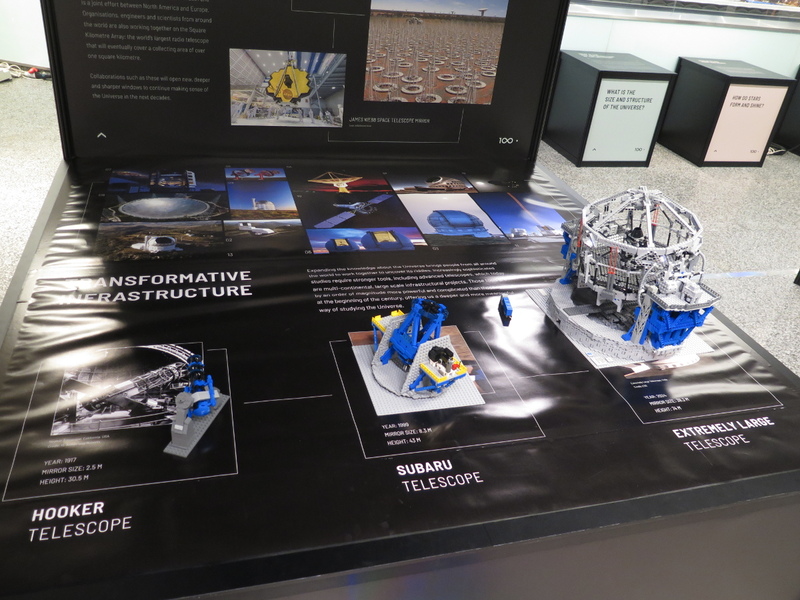 However, this is certainly a different perspective of a direct experience at the eyepiece of a telescope. And the final result can be fascinating, such as this drawing from Paul G. Abel, using the Clark telescope (a 24″ refractor) at Lowell observatory. 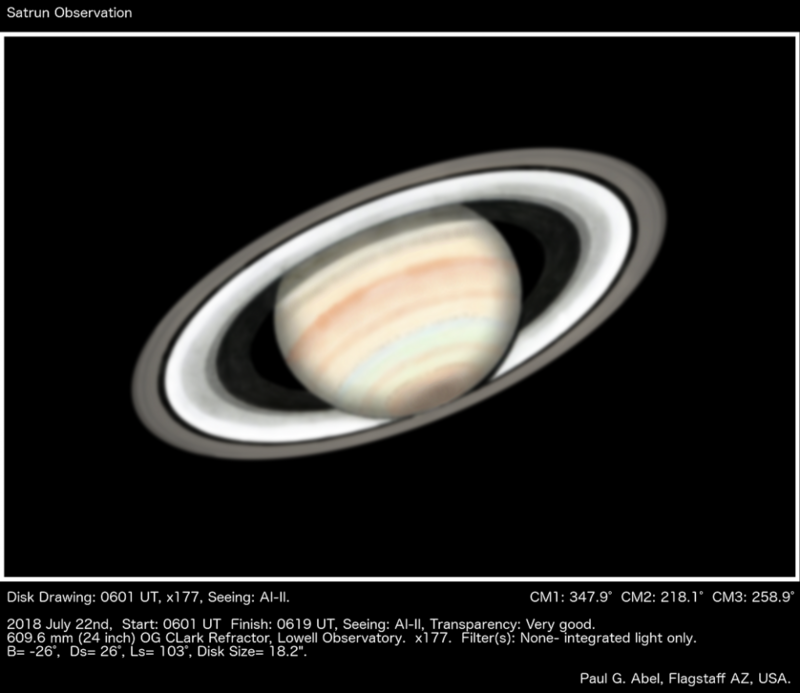 A drawing of Saturn using the 24″ Clark refractor at Lowell observatory (Paul G. Abel). which I found impressive given the country’s situation since the war broke out in 2011. Of course, a counter-argument would criticize the prioritization given the number of lives threaten everyday in Syria. 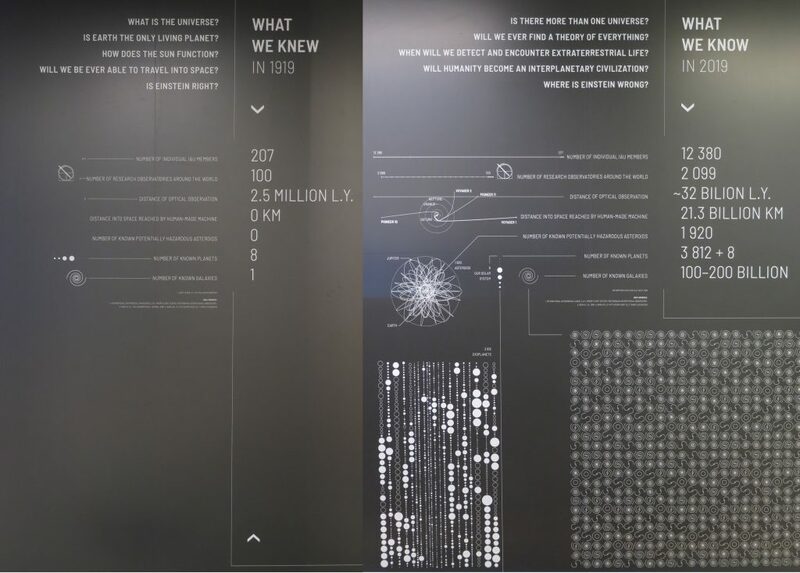 However, only education and civilization will help us overcome (on the long-term unfortunately…) these problems. Victor Buso is a really very lucky man! 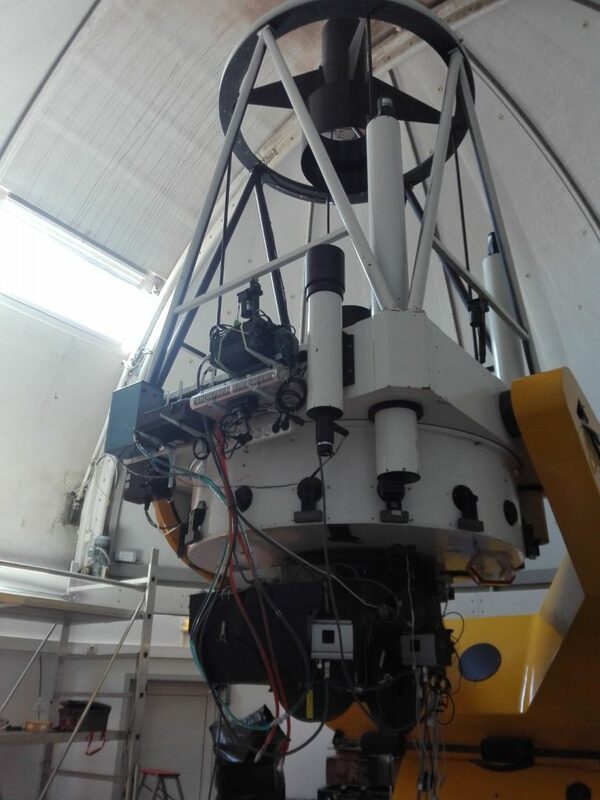 On September 20, 2016 we wanted to test his new camera mounted on a 40-cm Newtonian telescope. He pointed to the spiral galaxy NGC 613 because it was at that time located near the zenith. He took a series of 20s exposures spanning approximately an hour and a half. During the first part (about 40 exposures) there was no sign of anything unusual. After a break of 45 min though the exposures that he took revealed the rise of a supernova (SN 2016gkg). He is the first person to ever achieve that, ie. to capture the rise of a supernova just before its maximum light! These observations are an unprecedented set of data for supernova physics. According to the recent paper by Bersten et al (incl. Buso) 2018 the data shows the clear presence of the shock breakout phase in the optical, i.e. the phase associated with the propagation of the radiation shock inside the star and its dissolution at the surface (Waxman & Katz 2016). This lasts seconds to a fraction of an hour typically, unless there is enough circumstellar mater ejected from the progenitor star before the supernova explosion then this phase may extend to days. The phase produces bright X-ray/UV flash but its optical manifestation has not been observed. So these observations show that the optical light curve is characterized by an extremely rapid brightening at relatively low luminosity. What I find very critical in this work is actually how quick-witted Buso was. He is an amateur astronomer that didn’t just take the images. Instead he properly reduced them and he noticed the difference. 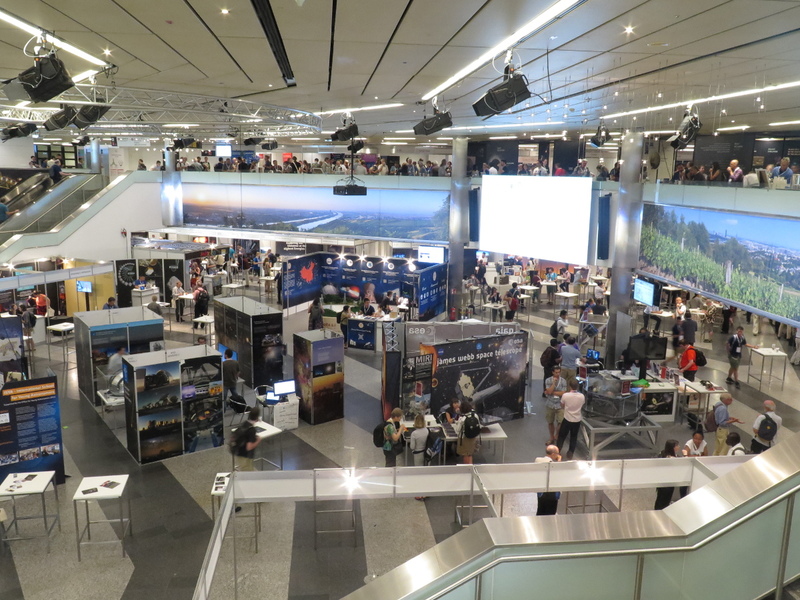 The next important step was to communicate this to the appropriate channels that allowed for follow-up observations to be obtained in in less than a day later (including Swift X-ray, UV and optical telescopes, see Bersten et al 2018 for a list). Mixing a transient object with … Mars! 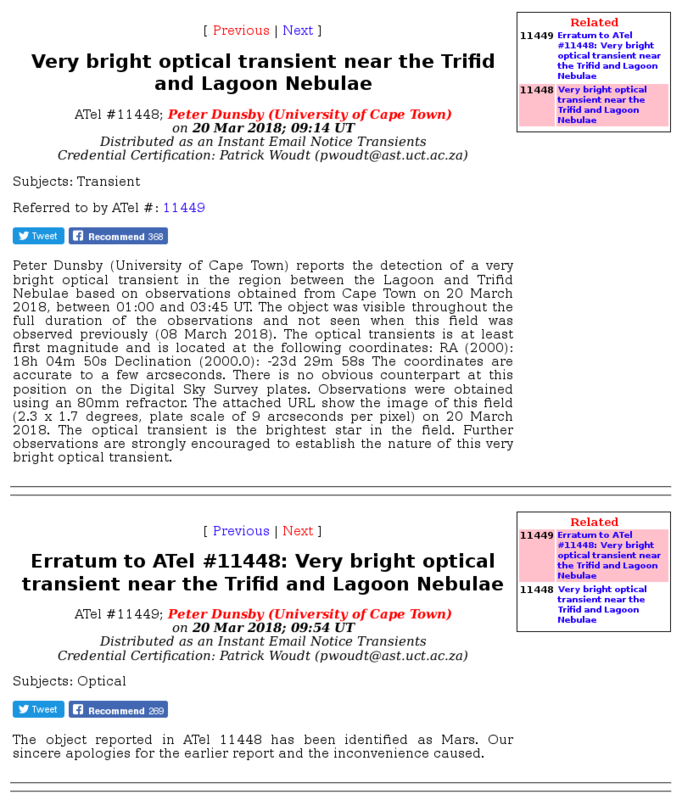 In the Astronomer’s Telegram #11448  it is announced that a very bright (almost 1st magnitude) transient object is found between the Lagoon and the Trifid nebulae. No other object has been found in the region and the source itself was not visible some days earlier. Within less than an hour later a second follow up telegram (#11449) informs the community that the transient object is … Mars ! It goes without saying that errors are for humans. But this one shows that every astronomer has to have a basic grasp of the night sky at least. 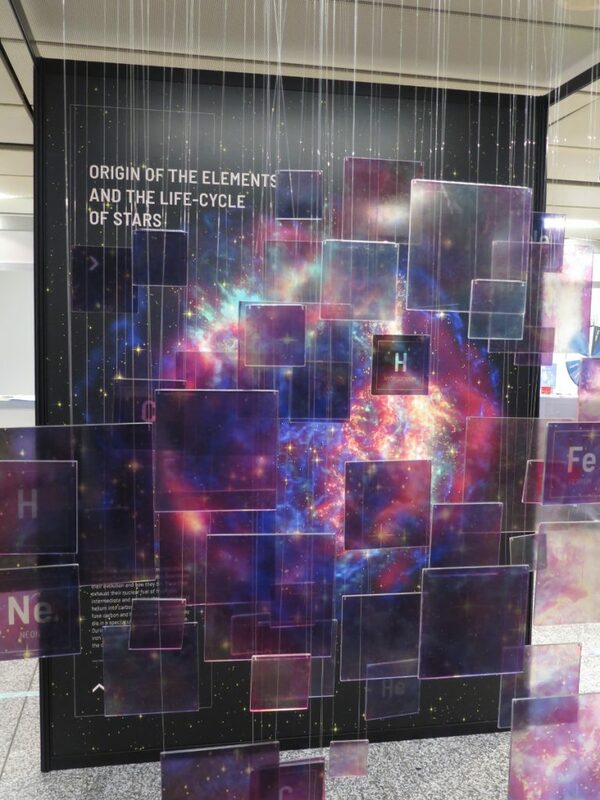 Massive stars affect strongly the insterstellar medium through their intense stellar winds and their rich chemically processed material as they evolve. This interaction becomes substantial in short-lived transition phases of massive stars (e.g. B[e] Supergiants, Luminous Blue Variables, Yellow Hypergiants) in which mass-loss is more enhanced and usually eruptive. Consequently, a complex environment, combining atomic, molecular and dust regions is formed around these stars. In particular, the circumstellar environment of B[e] Supergiants is not well understood. 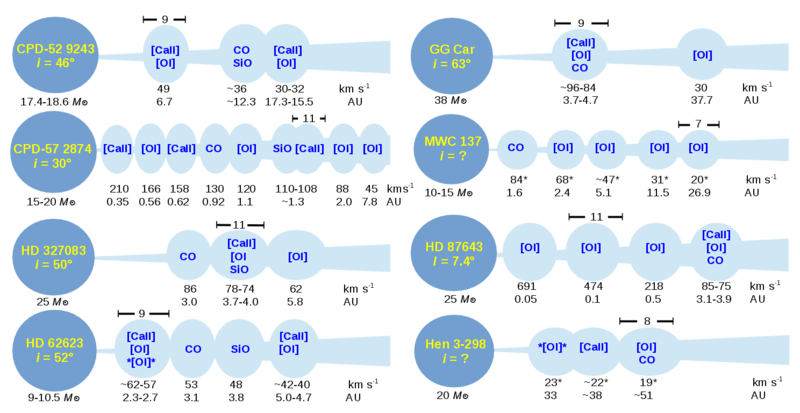 Moreover, their possible link to other phases has not been fully uncovered yet, which is crucial given the importance of massive stars for Stellar Astrophysics and their influence on their host galaxies. Starting from an observational point of view, I will provide an overview of the B[e] Supergiant population and discuss the latest results. 53 mySQL queries in 0.572 seconds.